Am I Hungry? Mindful Eating for Binge Eating Set - Am I Hungry?Am I Hungry? The comprehensive Am I Hungry? Mindful Eating for Binge Eating Program is a clinically valid treatment shown to stop binge eating. Together, these books offer a step-by-step process for self-discovery and healing your relationship with food and your body. You’ll learn new, more effective ways to manage the physical, emotional, and environmental stresses you encounter each day without bingeing. The two books in this set are designed to be used together. 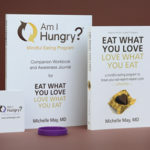 If you already have a copy of Eat What You Love, Love What You Eat for Binge Eating, you may purchase the Am I Hungry? 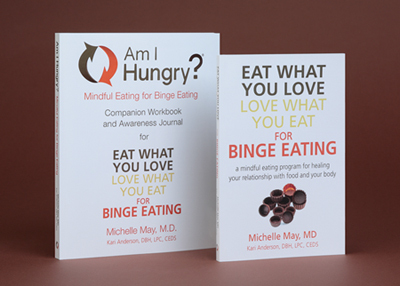 Mindful Eating for Binge Eating Workbook and Awareness Journal separately here. 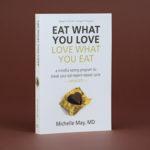 Michelle is the award-winning author of the Eat What You Love, Love What You Eat book series. As an inspirational speaker and author, Michelle’s passion, insight, and humor stem from her own personal struggles with food and body image. Michelle shares her compelling message and constructive keynotes with audiences around the world. Her intention is to empower individuals to resolve mindless and emotional eating to live the vibrant life they crave. 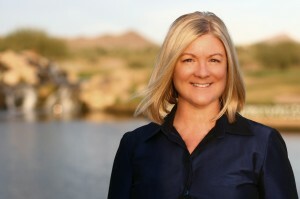 Kari Anderson, DBH, LPC, CEDS is a Phoenix-based eating disorder specialist and co-creator of the Am I Hungry? Mindful Eating Program for Binge Eating. 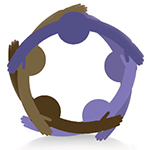 Kari has been working in the eating disorders treatment industry for over twenty-two years. She began her career with The Rader Institute, joined the staff at Remuda Ranch for fourteen years and began a private group practice in 2009. Kari was also the Director of the Binge Eating Program at Green Mountain at Fox Run in Vermont. 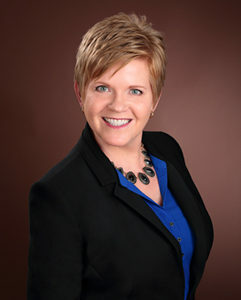 Kari earned her Master’s in Counseling Psychology from Mount St. Mary’s College of Los Angeles in 1991 and her Doctor of Behavioral Health degree from Arizona State University in 2012. Her culminating research found a mindfulness-based treatment for Binge Eating Disorder based on the Am I Hungry? Mindful Eating Cycle to be effective in eliminating binge eating, decreasing psychological distress and improving health behaviors.